If you like classic rock, you'll love this disk/book! Over 250 of the best Classic Rock songs. These timeless songs were made famous by some of the most popular artists of the rock era! The table of contents reads like a Who's Who of Classic Rock -- included are: Bryan Adams � Aerosmith � The Allman Brothers Band � Asia � Bachman-Turner Overdrive � The Beatles � Pat Benatar � Blood Sweat & Tears � Blue Öyster Cult � Bon Jovi � Boston � David Bowie � The Byrds � Cheap Trick � Eric Clapton � Deep Purple � Rick Derringer � Donovan � The Eagles � Electric Light Orchestra (E.L.O.) � Fleetwood Mac � Free � J. Geils Band � Genesis � Golden Earring � The Guess Who � George Harrison � The Hollies � Humble Pie � Jefferson Airplane � Joan Jett & The Blackhearts � Billy Joel � Elton John � Janis Joplin � Kansas � John Lennon � Huey Lewis and the News � Lynyrd Skynyrd � Paul McCartney � Meat Loaf � John Cougar Mellencamp � The Moody Blues � Mountain � Nazareth � Alan Parsons Project � Tom Petty and the Heartbreakers � Pink Floyd � The Police � Queen � REO Speedwagon � The Rolling Stones � Steppenwolf � Rod Stewart � Sting � Styx � Supertramp � The Who � The Yardbirds � Yes � and more! There are quite a few hard drivin' songs on this disk. For maximum enjoyment and excitement, you'll want kickin' styles. 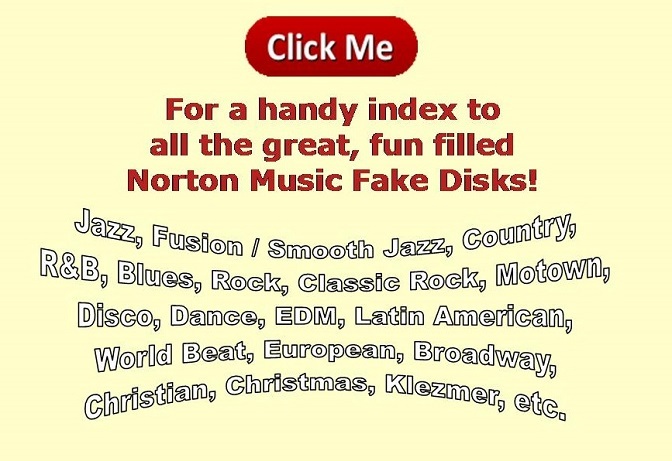 If you don't already have it, I highly recommended that you also purchase Norton Music's User Style Disk #4, Norton Music's User Style Disk #4 for Band-in-a-Box ... "It Rocks".